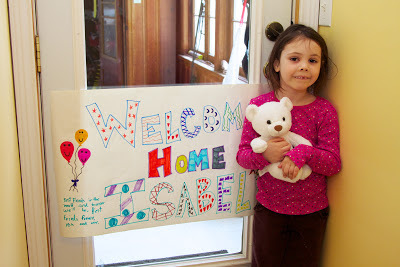 A short post to let you all know that we've finally got our little Isabel back home. We’re also glad to have Lynne home too; it was not easy on her for three days and nights in the hospital, not very comfortable at all. Isabel is literally bouncing around the house with excitement at the moment with being home (and importantly detached from the IV line). Now for a relaxing weekend with the family.